Gwen. was written on the envelope. That’s all. It arrived without notice, no postmark, no return address, just stamped in bold red ink . . .
Aha! 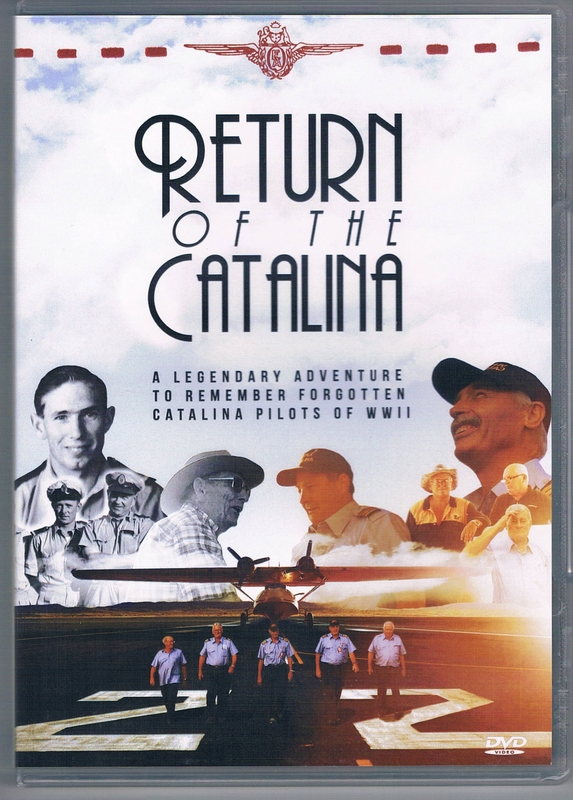 My DVD copy of “Return of the Catalina” had arrived! 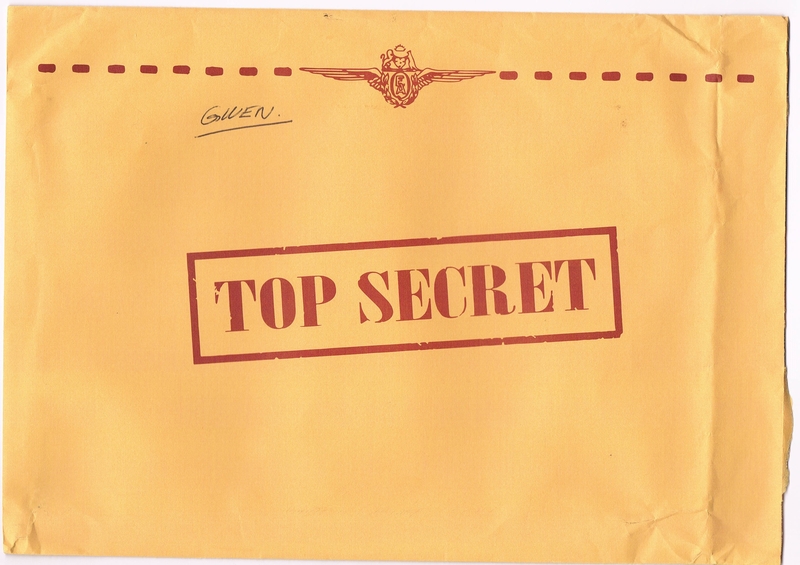 Top secret indeed. 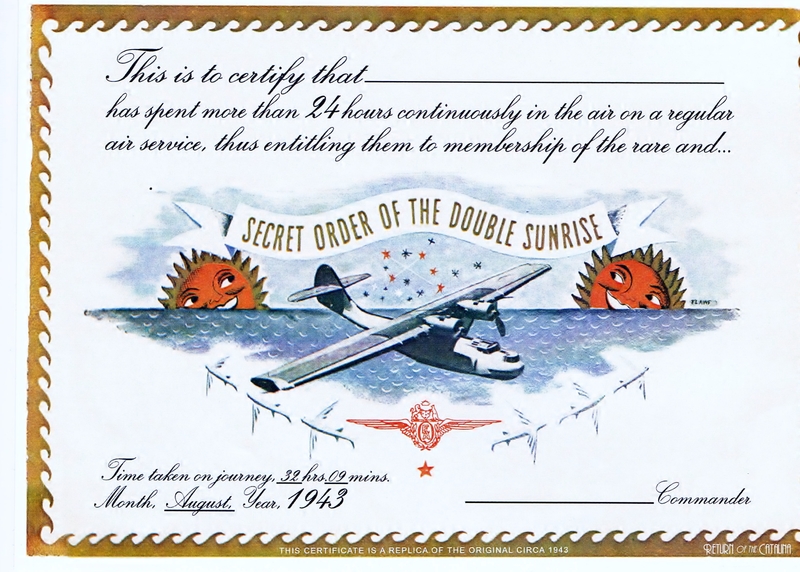 The exploits of those few brave men who in 1943 flew the “Black Cats of the Double Sunrise Service” – the Consolidated PBY Catalina flying boats – non stop for 32 hours across enemy territory have never been officially recognised. This is despite their success in breaking the Japanese air blockade of Australia, reconnecting us with “the Empire”. In 2011, a group of intrepid enthusiasts embarked on an ambitious project to lift the veil on this time in history and preserve the memory of those original air crew by bringing one home to Australia. The Return of the Catalina follows these men as they resurrect a 70 year old Catalina flying boat and fly it half way across the world from Spain to Australia. Original black and white film footage and maps set the background history – Singapore has fallen to the Japanese and Australia is cut-off from Britain (Feb 1942). Cut forward to present day, and we meet 93 year old Rex Senior, the First Officer and Navigator on the first Double Sunrise flight, which departed Perth on 10th July 1943. Rex gives us a first-hand account of the trip and its precious payload. Next we meet the volunteers from the Qantas Founders Museum of Longreach Queensland who came up with this scheme, former pilots and engineers, all determined to get recognition for the WWII unsung heroes. All of the Catalinas used in the Double Sunrise Service were scuttled after the war. A search for a similar craft leads the team to Spain where they discover a sad and sorry looking 1945 model, painted bright yellow/orange, which in more recent times was used as a water bomber. The DVD shows the restoration in fast-speed, months flick past in a few seconds, then hooray! It is test flight time. It’s a line Captain Ross Kelly uses optimistically several times throughout the documentary, with more than just a touch of the famous Australian sardonic wit. Surprise, surprise – things go wrong! . . .who’d a’ thunk it? I first came to know of the documentary on Warbirdsnews.com. This site is jam-packed with articles related to the history, technology and heritage of aircraft and the various museums which restore, preserve and protect them. it is professionally presented and well worth following for enthusiasts. Gwen, I don’t know how I missed this. I only found it by Googling Catalinas in Australia because I wanted to post a story about the one at Point Cook RAAF museum. But I didn’t realise that there were some very different setups. The one at Point Cook is a single engine Pusher Plane and your here is a two engine one. I must get on to my post. But I want to go back and take some better photos. Guess who’s a nidiot? So I go in to the museum and ask him where the Caribou is and he starts talking all about it and how it’s made in Canada and I end up telling him I’ve made a mistake and I mean the little Yellow thing with the one pusher engine and he says that’s not a Catalina (I just remembered the name). He said it was a walrus and so I took all sorts of photos of the Walrus and he even went into another room so that I could be on my own and step over the wire and take a photo from the back, Then I went and had a look for the Boomerang and there was no one there except a staff member and he opened the door so I could get in and wander around and there I spotted the Fuselage of a Catalina with no wings because they haven’t got enough room and they’re still fixing it up. So we will have to have a story about the Walrus. Didn’t I feel like a bit of a dag. This sounds like a terrific DVD for history buffs like my husband, sons, and grandsons. You can buy it on the website. Under us$20 plus shipping. It would make a great stocking filler at Christmas. I loved it, and will be watching again soon with my husband. You can buy it on the website. Under us$20 plus shipping. It would make a great stocking filler at Christmas. I loved it, and will be watching again soon with my husband. Also available as a download. What a wonderful review! Thanks so much! I seem to remember seeing a flying boat, possibly a Catalina flying boat?, in Baz Lurhmann’s film ‘Australia’ or did I just dream it? Don’t know why that popped into my head. Flying boat restoration does sound fun, but somewhat dangerous!